After 364 days looking ahead to the future, comes the day that I sit down, order a bottle of red wine and write my letter from London looking backwards. How beautiful is the future! As beautiful as the past. Life is fleeting. I sold my car for 6,000€ and decided to go to London. I put a graph in excel which showed me, with my monthly costs, when I would get to zero and have to go back home. April it said, but now I realize that it would have be even earlier. 7h per day dedicated to find a job: Applying for roles, updating and customizing CVs, receiving calls, learning English, etc. This sounds like a plan, I told them. And so the adventure began. …And having just read the fourth letter now I was talking about my new company already, and I am still working closely with General Electric, top 10 worldwide company, which we, together with my team, manage all their online advertising (on Google, on Twitter , Linkedin, Facebook, etc). I love this brand and the people who make decisions in it. They see me as a partner and trust me. Of course, with all the support from MEC (media agency owned by WPP, another top), which values ​​and motivates me every day. So much that I decided to write a book on how small businesses can own and control their online presence. I hope I can say in my next letter that it’s already published! There’s nothing like to make a challenge public to multiply by 3 the pressure, while push you to do it too. Mallorca is irreplaceable and that my future is there. 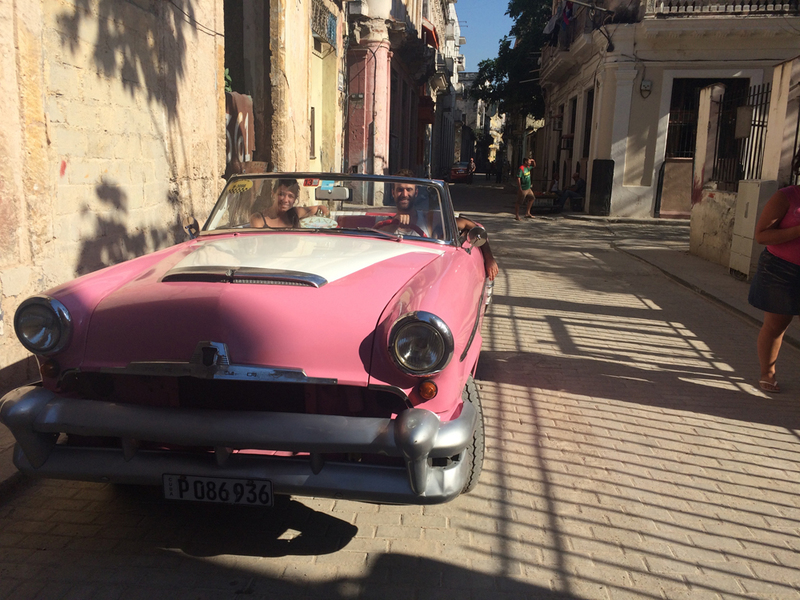 Havana and Varadero (Cuba): A fantastic and so different culture, postcard-beaches in Varadero and all the people playing and dancing during the day in any restaurant downtown. Tulum and Mahahual (Mexico): Impressive Mayan history visiting Chichén Itzá (one wonderful less to see), and incredible beaches in Mahaual. All from the hand of my brother Juanjo, whose ability to survive and adapt to places and situations, work and love is admirable. New York (USA): Perhaps the city with more expectation and bigger disappointment. Its problem is to be compared with London, which is hard. Its park Central Park surrounded by skyscrapers with a couple of trees is far from our Richmond Park with deers, the forest in Hampstead or the preciousness of St James Park next to Buckingham Palace. Its traffic congestion in downtown Manhattan, with its big cars stopped, polluting and whistling in addition to the other sensory inputs in my body: Most streets smelling of garbage from restaurants that leave their bags on the sidewalk in front of their door and hot air conditioning going out to my face directly from refrigerated stores. (I was there in summer, I’ll add). Berlin, Paris, Formentera and Amsterdam: European beautiful places with history and stories. And this year is to come Thailand and Barcelona. How great is the world, so many things happening and how little we impact on them. It’s not just where, but also when and who with. Who you travel with, who you share weekends or Tuesday nights with … and that partner is named Ester. She came to London to be with me and she was also liked by the English city. I can’t reveal her professional success here, but she could write letters from London by 3 on 3. She is gorgeous, like London, but I will get used to the beauty, I already said. And at the end you have to choose with whom you spend your time (You remember? ), and she is a great person to spend time with. My London became incarnate in a female body, a Majorcan body indeed. Funny! A toast for the new places in the world that I have visited this year, and for the people around me. The most important is to have a cable tied to your homeland that allows you to travel relaxed in case you get lost.